EuBea 2016: registrations are open. Enter your projects and compete in the arena of European events. As from today, it will be possible to nominate your own events for the EuBea, the Award by ADC Group that recognises the European event industry’s excellence. For European agencies and companies this is the opportunity to compete in a prestigious arena, in which the sector’s main companies challenge each other each year. 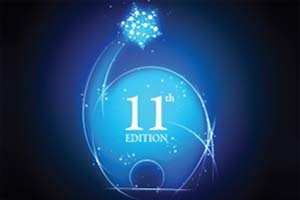 The doors are open to all entries for the 11th edition of EuBea, the Award devised, organised and promoted by ADC Group and addressed to European excellence in the field of events and live communication. All entries must be submitted by 31st July 2016 through the EuBea Festival website. Entries can be commercial or non-commercial events and live communication projects which have taken place anywhere in the world between 1st August 2015 and 31st July 2016, produced and submitted by all event industry entities based in Europe, including events, public relations, communication, promotion, advertising and web agencies, companies, public bodies, associations, non-governmental and non-profit organisations, locations, etc. The best projects in the different categories of EuBea Awards will be chosen by a distinguished Jury composed by representatives of leading European corporate companies and event associations from all over Europe. The Jury’s President of the 11th edition of EuBea will be Gerd De Bruycker, who currently leads the CISCO Marketing Team for Northern Europe. Awards will also be assigned in 14 different Event Categories (for example, Convention, Cultural Event, Educational/Training Event, Opening/Celebration Event, Launch Event, Live Entertainment, Roadshows, etc.) and in 4 new Feature Categories (Low Budget Event, Sustainable Innovation, Use of Technology, Use of Web and Social Media). Besides, the Jury will have the opportunity to assign Special Awards and Special Mentions. A separate Press Jury will decide the winner of the Press Award. The Jury will convene during EuBea Festival, which will take place in Saint Petersburg between October 13th and 15th, 2016. Following a well-established practice appreciated by the community, agencies and companies will be able to showcase their ‘e-factor’ (‘event factor’) live, presenting their candidate projects directly to the award’s Jury. A unique and exclusive opportunity to meet with prestigious representatives of the Corporate Jury, all from marketing departments, events and communications of leading European companies. An event in which the cream of the European event industry will gather for a two-day session of training and networking. The festival will end with the award ceremony grand finale, during which the Elephant trophies, bestowed by ADC Group to the top creativity and production projects in the field of events, will be awarded. EuBea Festival 2016 is powered by ADC Group and will be supported by the Saint Petersburg Committee for Tourism Development, the Saint Petersburg Convention Bureau, the Russian National Association of Event Specialists (NAES) and the Saint Petersburg Pulkovo Airport Managing Company. Organisational partners: Live Comm Group, Live Communication Magazine, Louder, 2A Production, Russian Brand Gardeners e V-Events. General media partners: Business FM Radio, Sostav.ru and KudaGo’s media portals, ‘Expert. Severo-Zapad’ and ‘Delovoy Peterburg’ magazines.